Kaiser Wilhelm II Dismisse Chancellor Bismarck: March 18, 1890. Otto Eduard Leopold, Prince of Bismarck, Duke of Lauenburg (Born von Bismarck-Schönhausen; (April 1, 1815 – July 30, 1898), known as Otto von Bismarck he was a conservative Prussian statesman who dominated German and European affairs from the 1860s until 1890 and was the first Chancellor of the German Empire between 1871 and 1890. Otto von Bismarck, Chancellor of the German Empire. In 1862, King Wilhelm I of Prussia appointed Bismarck as Minister President of Prussia, a position he would hold until 1890, with the exception of a short break in 1873. He provoked three short, decisive wars against Denmark, Austria, and France. Following the victory against Austria, he abolished the supranational German Confederation and instead formed the North German Confederation as the first German national state in 1867, leading it as Federal Chancellor. This aligned the smaller North German states behind Prussia. Later receiving the support of the independent South German states in the Confederation’s defeat of France, he formed the German Empire in 1871, unifying Germany with himself as Imperial Chancellor, while retaining control of Prussia at the same time. The new German nation excluded Austria, which had been Prussia’s main opponent for predominance among the German states. With that accomplished by 1871, he skillfully used balance of power diplomacy to maintain Germany’s position in a Europe which, despite many disputes and war scares, remained at peace. For historian Eric Hobsbawm, it was Bismarck who “remained undisputed world champion at the game of multilateral diplomatic chess for almost twenty years after 1871, [and] devoted himself exclusively, and successfully, to maintaining peace between the powers”. However, his annexation of Alsace-Lorraine gave new fuel to French nationalism and promoted Germanophobia in France.This helped set the stage for the First World War. Bismarck was sixteen years older than Friedrich III; before the latter became terminally ill, therefore Bismarck did not expect he would live to see Wilhelm II ascend to the throne and thus had no strategy to deal with him. Conflicts between Wilhelm II and Bismarck soon poisoned their relationship. Their final split occurred after Bismarck tried to implement far-reaching anti-socialist laws in early 1890. The Kartell majority in the Reichstag, including the Conservative Party and the National Liberal Party, was willing to make most of the laws permanent. However, it was split about the law granting the police the power to expel socialist agitators from their homes, a power that had been used excessively at times against political opponents. The National Liberals refused to make this law permanent, while the Conservatives supported only the entirety of the bill, threatening to and eventually vetoing the entire bill in session because Bismarck would not agree to a modified bill. As the debate continued, Wilhelm II became increasingly interested in social problems, especially the treatment of mine workers during their strike in 1889. Keeping with his active policy in government, he routinely interrupted Bismarck in Council to make clear his social views. Bismarck sharply disagreed with Wilhelm’s policies and worked to circumvent them. Even though Wilhelm II supported the altered anti-socialist bill, Bismarck pushed for his support to veto the bill in its entirety. When his arguments could not convince Wilhelm, Bismarck became excited and agitated until uncharacteristically blurting out his motive to see the bill fail: to have the socialists agitate until a violent clash occurred that could be used as a pretext to crush them. Wilhelm countered that he was not willing to open his reign with a bloody campaign against his own subjects. The next day, after realizing his blunder, Bismarck attempted to reach a compromise with Wilhelm by agreeing to his social policy towards industrial workers and even suggested a European council to discuss working conditions, presided over by the Emperor. Still, a turn of events eventually led to his breaking with Wilhelm. Bismarck, feeling pressured and unappreciated by the Emperor and undermined by ambitious advisers, refused to sign a proclamation regarding the protection of workers along with Wilhelm, as was required by the German constitution. His refusal to sign was apparently to protest Wilhelm’s ever increasing interference with Bismarck’s previously unquestioned authority. Bismarck also worked behind the scenes to break the Continental labour council on which Wilhelm had set his heart. The final break came as Bismarck searched for a new parliamentary majority, as his Kartell was voted from power as a consequence of the anti-socialist bill fiasco, the remaining forces in the Reichstag were the Catholic Centre Party and the Conservative Party. Bismarck wished to form a new block with the Centre Party and invited Ludwig Windthorst, the parliamentary leader, to discuss an alliance. That would be Bismarck’s last political maneuver. Upon hearing about Windthorst’s visit, Wilhelm was furious. In a parliamentary state, the head of government depends on the confidence of the parliamentary majority and has the right to form coalitions to ensure their policies have majority support. However, in Germany, the Chancellor depended on the confidence of the Emperor alone, and Wilhelm believed that the Emperor had the right to be informed before his minister’s meeting. After a heated argument in Bismarck’s office, Wilhelm—to whom Bismarck had shown a letter from Tsar Alexander III describing Wilhelm as a “badly brought-up boy”—stormed out, after first ordering the rescinding of the Cabinet Order of 1851, which had forbidden Prussian Cabinet Ministers from reporting directly to the King of Prussia and required them instead to report via the Chancellor. Bismarck, forced for the first time into a situation that he could not use to his advantage, wrote a blistering letter of resignation, decrying Wilhelm’s interference in foreign and domestic policy. The letter, however, was published only after Bismarck’s death. “Dropping the Pilot”, a famous caricature by Sir John Tenniel (1820–1914), first published in the British magazine Punch, March 29, 1890. Bismarck resigned at Wilhelm II’s insistence on March 18, 1890, at the age of seventy-five. 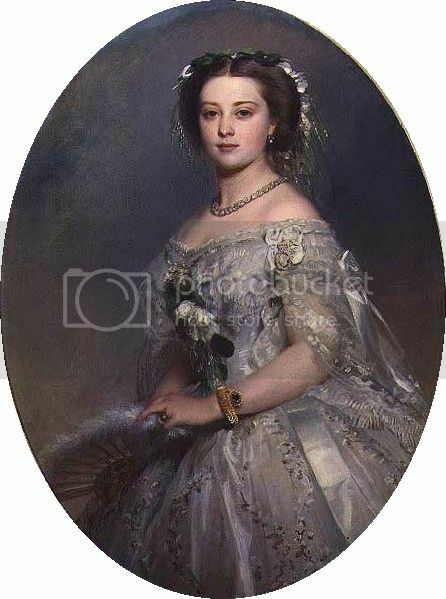 Within seven months of the death of his mother, King Edward VII suffered the death of his sister, Victoria, Princess Royal, The Empress Frederick of Germany, eldest child of Queen Victoria and Prince Albert. Princess Victoria was born on 21 November 1840. She married Friedrich-Wilhelm of Prussia in 1858, a love match but also a dynastic alliance in the hope of helping liberalize Prussia. However, her father-in-law (Kaiser Wilhelm I) lived to be 90 and her husband was already terminally ill with throat cancer when he finally became Kaiser Friedrich III in March of 1888. Kaiser Friedrich III reigned for just 3 months and was succeeded by his eldest son Wilhelm II, a militaristic ruler in the mold of his grandfather. Victoria, who now styled her self The Empress Frederick, and her son did not get along, and she was marginalized for the rest of her life, finally dying in 1901, a few months after Queen Victoria. In the summer of 1900 Edward VII, then still Prince of Wales, spent much of the summer in Berlin with his sister, the Empress Frederick, as her health began to deteriorate. Edward VII had regular visits at the spa at Bad Homburg. He would not see his sister once again until February of 1901, a month after his succession to the throne. When he came to see his sister, it was not known how much longer she had to live. Edward brought with him his private secretary, Sir Frederick Ponsonby, and a couple of English doctors to help treat his sister. Vicky did not have a great relationship with German doctors. She felt that they were partly responsible for the difficult delivery of her son, the future Kaiser Wilhelm II, and they mismanaged and treated her husbands (Kaiser Friedrich III) throat cancer. Indeed the Empress Frederick was kept in such pain because the German doctors gave her so little morphine for her pain. The English doctors were able to giver more pain relief much to the resentments of the German physicians in attendance. When Kaiser Friedrich III died in 1888 his son, the new Kaiser Wilhelm II, surrounded the palace with his troops in order to secure any of his father’s documents and other writings and letters. It seemed history would repeat itself when the Empresses Frederick died. This was the main reason Sir Frederick Ponsonby was there. The letters and documents of the Empress Frederick were smuggled out of Germany in Ponsonby’s luggage and kept in his own private estates instead of the archives at Windsor in an attempt to out manouver the Kaiser. The Empress Frederick died in Friedrichshof on 5 August 1901 ending a long illness that began in late 1898 when she was diagnosed with breast cancer that would eventually metastasize to her spine. She was buried next to her husband in the royal mausoleum of the Friedenskirche at Potsdam on 13 August 1901. Edward VII and Vicky had been close all their lives. Altogether their parents had differing views of each child, Vicky was Prince Albert’s favorite child, while Bertie (Albert-Edward) was a great disappointment to his mother, this did not seem to affect their relationship. This concludes the King’s year of grief…the loss of a nephew in 1899 then between July 30, 1900 to August 5, 1901 the King lost his brother, mother and sister. If we expand the time back ten years or so, the King lost his eldest son (Prince Albert-Victor, Duke of Clarence) in 1892 and another nephew, Prince Christian Victor of Schleswig-Holstein in October of 1900. That is a lot of grief and loss for one person in that span of time. HI & RM German Emperor Wilhelm II, King of Prussia. I am going to take a different approach today with my featured monarch. I could list all of the historical facts and figures, which I am sure my readers already know, so instead I will share why I find the last German Kaiser to be such a fascinating individual to understand and study. I cannot really say I admire Wilhelm II because there were things in his character that shows a dark side to his personality and these characteristics also contributed to his downfall. However, he presided over a fascinating time of change as the 19th century transitioned into the 20th century. When the majority of European nations were moving away from authoritarian monarchies to a more democratic and parliamentary style of monarchy, Germany was a state where that shift had not taken place and the monarch still wielded considerable power. He was born on January 27, 1859 and was christened HRH Prince Friedrich Wilhelm Viktor Albrecht von Preußen and was the son of future German Emperor and Prussian King, Friedrich III and his wife, Princess Victoria, Princess Royal, and daughter of Queen Victoria of the United Kingdom and Prince Albert of Saxe-Coburg-Gotha. The Prince Consort had dreamed of a liberal Germany under Prussian leadership but that was just not to be. The Prussian monarchy was steeped in the tradition of militarism and a conservative philosophy where the monarch held the power and constitutionalism was considered an anathema. From his earliest days there seems to have developed a battle over forming the ideologies of the future Wilhelm II. His parents wished to instill in him the liberal ideas of a constitutional form of government which protected the rights of the citizens/subjects while limiting the power of the Crown and giving more power to the Parliament. In most families the parents will control the education of their children. But in the 19th century the education of the children of princes was controlled by the head of the royal house. In this case that was German Emperor and Prussian King, Wilhelm I, the staunch conservative grandfather of Wilhelm II. 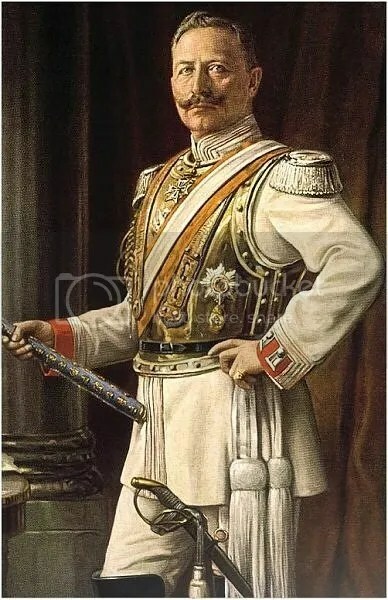 Wilhelm I along with his equally staunch conservative Chancellor, Otto von Bismark, made sure Wilhelm was raised with typical conservative Prussian values and beliefs. With Wilhelm firmly in the conservative camp he had a difficult relationship with both of his parents. He was also born with a physical handicap. During a very difficult birth his left arm was pulled from its socket and was permanently damaged. Despite surgeries and treatment he was never able to regain usage of his arm and had which withered and atrophied. These circumstances are said to have played a great role in the development of his personality. In reading many books and biographies about he last Kaiser I wonder what his mental health diagnosis was. I wonder if he was bipolar? He seemed to have tremendous highs and lows. He was described as intelligent yet could also be volatile and had an explosive temper. After the Daily Telegraph Affair of 1908 where the Kaiser gave an interview in which he alienated Britain, France, Russia and Japan, his government forbade him from any more interviews that would be released unedited. The result of this affair lead the Kaiser into slipping into a severe depression for many weeks and there were people close to him say he never fully recovered from. 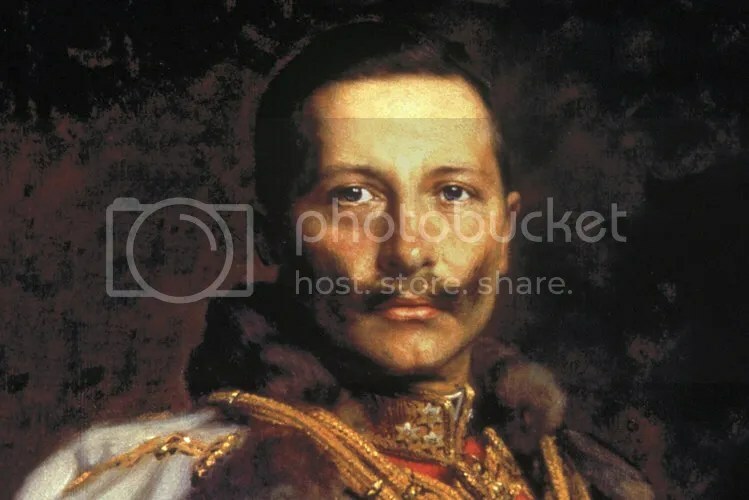 In order to keep these blog posts to a digestible level I will end it here and continue part II of my look at Wilhelm II next Friday in this section. HRH Princess Victoria of the United Kingdom, The Princess Royal, German Empress & Queen of Prussia. Born: November 21, 1840. Died: August 5, 1901. Princess Victoria, the Princess Royal was the eldest child of Queen Victoria and Prince Albert. Her parents were a little disappointed that their first child was a boy, but many were relived that there was now at least one person in line for the throne ahead of the queen’s uncle, the much disliked King Ernst August of Hanover. Until the birth of her brother, Prince Albert Edward, the Prince of Wales, Victoria, called Vicky within the family, was heiress presumptive. Vicky had a close relationship with her father and his liberal politics greatly influenced her. Her marriage at the age of 17 to the future King Friedrich III of Prussia was a part of her Father’s plan to see a liberal Prussia at the head of the German Empire with his daughter Vicky as empress leading the Germans from Conservatism to a liberal monarchy modeled after that of Great Britain. Although Albert, the Prince Consort, did not live long enough to see Germany become an empire under Prussian leadership he would have been disheartened to learn that it never strayed from its conservative ideals. Vicky had a difficult time adjusting to Prussia and its rigid court. For her part, Vicky did carry a sense of pride in all things English which bothered many Germans at court. In 1861 she and her husband became the Crown Prince and Crown Princess of Prussia. Their desires to raiser their son, Wilhelm, in a liberal fashion brought her into conflict with her father-in-law, King Wilhelm I of Prussia, and Prussian Chancellor Bismark. They feared that liberalism would weaken the power of the monarchy and place power away from the king and chancellor and into the hands of the reichstag and that Vicky would place Britain’s interests over Germany’s. In 1871 Germany became a federated empire with the Prussian king as emperor. The new emperor was 74 years old and Vicky and Fritz did not think they would have too many years before they in turn sat on the new imperial throne. In 1887 Crown Prince Friedrich was diagnosed with throat cancer. In March of the next year German Emperor Wilhelm I, King of Prussia died and Fritz became Emperor Friedrich III, King of Prussia. His reign was brief lasting only 99 days. With such a short time on the throne he could not impalement any liberal policies he and Vicky had envisioned. Vicky became known as the Empress Frederick in her widowhood and he relationship with her son, the new emperor, Wilhelm II, remained strained. Vicky and Fritz had eight children (4 boys and 5 girls) with two of her young sons, Sigismund and Waldemar, dying at young ages affecting Vicky deeply. In her widowhood she continued to be a patron of the arts and education and established schools for the higher education of girls and for nurses’ training. She also continued to be close to her British relatives and kept a almost daily correspondence with her mother totaling over 3,500 letters. Vicky’s mother died in January of 1901 and Vicky was unable to attend the bedside vigil due to the fact the she herself was also dying from bone cancer. Vicky died at the age of 60 and was buried along side her husband and their two young children at Friedenskirche in Potsdam. 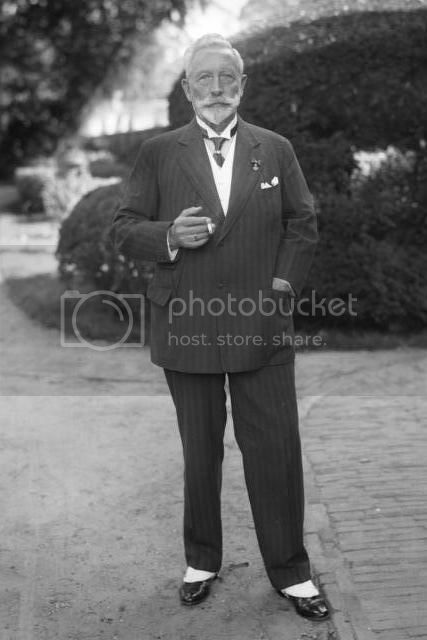 June 4, 1941 former Kaiser Wilhelm II of Germany, King of Prussia died at Huis Doorn in the Netherlands at the age of 82. The Kaiser had been living in the Netherlands in exile since the end of World War I in 1918 and moved in to Huis Doorn in 1920. He was buried in a mausoleum in the grounds of Huis Doorn attended by members of his family and Field Marshal August von Mackensen along with a few other military advisers. 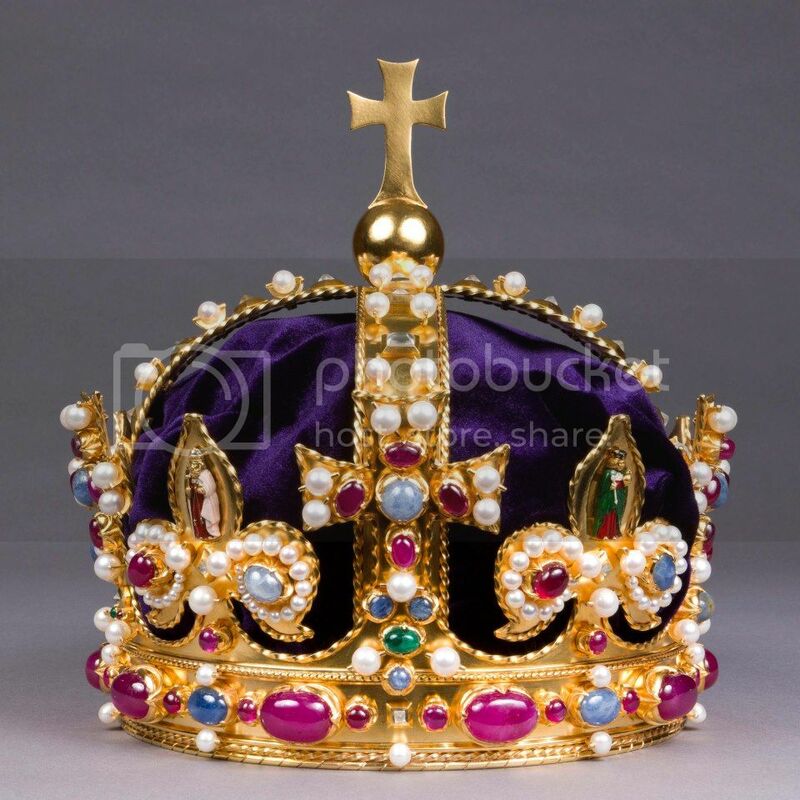 His body has never been returned to Germany out of respect for his wish that his body should only be returned there if and when the monarchy is reestablished. Huis Doorn is now a museum open to the public but recent financial difficulties may result in the building being shut down and sold. Wilhelm II has always been an interesting subject to study. Son of Kaiser Friedrich III of Germany and King of Prussia and Princess Victoria, Princess Royal of Great Britain, Wilhelm II was also the eldest grandchild of Britain’s Queen Victoria. Born with a withered left arm from complications of his birth the last German Emperor had a bi-polar personality that was bombastic and arrogant but also warm and friendly to those he respected. He was a scapegoat for World War I and history has shown that not all the blame for the war rests on his shoulders.